This hard tag features a highly sensitive Radio Frequency Identification (RFID) inlay for item-level visibility and inventory management and an AM EAS element for asset protection. The RFID component stores information specific to the protected merchandise for item-level and near real-time merchandise visibility. Source Tagging is available so retailers can receive floor-ready merchandise with consistent tag placement - expediting receiving and selling floor fulfillment. 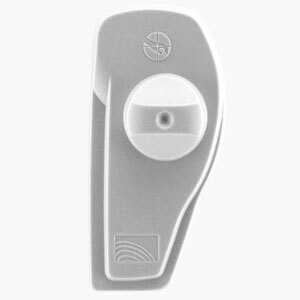 The Magnetic AM/RFID hard tag features a highly sensitive Radio Frequency Identification (RFID) inlay for item-level visibility and inventory management, and an AM EAS element for asset protection. The RFID component stores information specific to the protected merchandise for item-level and near real-time merchandise visibility. Source Tagging is available so retailers can receive floorready merchandise with consistent tag placement — expediting receiving and selling floor fulfillment. 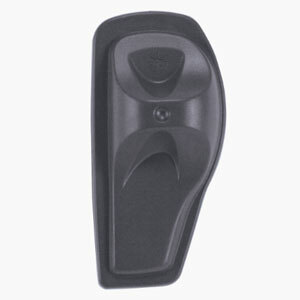 This Magnetic AM/RFID 2D hard tag combines trusted EAS protection with the item-level visibility and inventory management only RFID can provide. 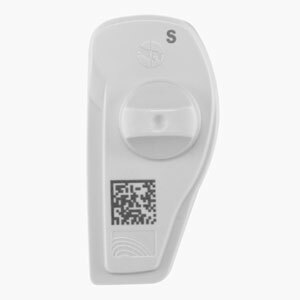 The tag’s RFID component stores item-specific information directly on the tag – delivering near real-time item-level visibility while the AM EAS component delivers asset protection. This durable tag features a laser-etched 2D barcode that allows retailers to program item-specific information directly onto the tag using a compatible mobile reader. The barcode is especially helpful when a swing ticket is missing from tagged merchandise, allowing store associates to quickly scan and retrieve point-of-sale (POS) data necessary to complete the checkout process. With this tag retailers can continue using non-RFID barcode readers at POS to process transactions. This hard tag is intended for in-store application.